We’re all huge fans of Terraria and have been overwhelmed by the support we’ve received from the existing community since we began working with the property, and it’s been amazing to see how many of those fans have been asking for a portable version of Terraria so they can take their adventures with them on the go. The biggest challenge for us is how to give players the control they need to fully enjoy the experience and we’re really excited to explore the potential of the multiple input options that the PlayStation Vita affords us. Terraria for the Vita will be released with the ability to play with up to eight people online. It will also feature exclusive leaderboards and trophies. 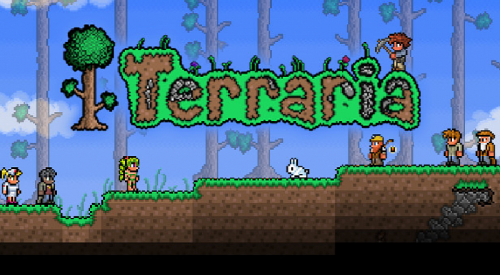 We covered the console version of Terraria in a review earlier this week. Let's hope 505 can fix the bugs with the console port, and make a smoother Vita experience.